On this era, industries are developed depends on the market growth. It was something which become reality on the era of modern way of life. Than that’s why it was fully reasonable ideas, where many of device and other supported tools and or component are need to build an effective industrial chain mechanism. Those effective and efficient working process are knowing which developed also a demanding ideas which need to belonging with the whole of industries process. Then that’s why there are many of console developer, manufacture as well as the company which involved through the business of industrial component or supporting utilities providing service. Especially on the field of automation solution, where many of device are need to joining and grouping together to belongs with kind of better ideas. Also the Red Lion’s which is laterally known become one of greatest named as automation solution providing service are also offered many of device. Each are to construct a clear vision of industrial automation solution aspect. Here in this article we would dedicated our belonging ideas with one of Red Lion’s product on the family of HMI Operator Panels. HMI Operator Panels, are kind of device which need to installed and used on wide and diverse range of manufacturing, it includes some of vital industries such as; oil and gas, water or wastewater infrastructure, and so the manufacturing. Red Lion are try to preserve user with several great ideas on kind of this device, where user can choose on installation aspect, from extreme remote location, to the factories which need to work on precise working process. And here are some of the types also comes with the features of each product. Kind of this HMI Panels are offered and comes to the public of industries belongs with 5 high-speed serial ports. It also designed with built-in Ethernet and a CompactFlash card socket standard. This types are come to offer expanded connectivity also handle other process such as; data logging and web serving, protocol conversion, and capabilities to make data access become easy and quickly. For users which looking 4.3” or 7” color touchscreen displays HMI Panels, the G3 Kadet are comes to belonging with those ideas. This product offered such of capabilities: serial ports for high speed connectivity through Ethernet. To complete the features, it also can be operated with Crimson® software, of course it can handle out the easy to configuring features and capabilities. This are kind of operator panels which designed and create to combine rugged HMI Touchscreen with an I/O module, during protocol conversion operation. I also can handle other process such as, web-based monitoring, IEC 61131 control, web-based monitoring, and data logging. Red Lion also designs this product to operating integrated with expansion rack to control, connect and monitor more industrial processes. Tough and rugged device are one of standards which is need to belongs by the industries itself. Of course the biggest reasons are to reach out an idea about better process during controlling and monitoring on industrial working process to case more perfection on many act. 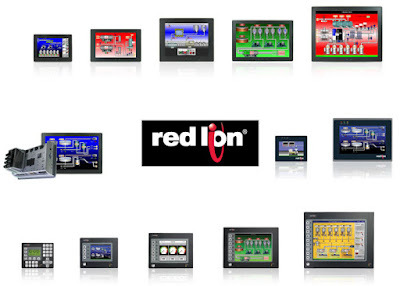 Red Lion’s HMI Operator Panels are kind of product family of HMI device which offered belongs with the best ideas of any industrial goals. Of course it was designed and built with several capabilities to gain more belonging ideas for the industries to reach of the idea of productivity. Programmable controllers are become of the important device since the industrial era especially to gain up and lines up the ideas of better industrial control and monitoring aspect. There are so many manufacture named are comes out in bound of getting closed the ideas of better operational aspect. One of the former named are the UNITRONICS® with several products are produce and offered to the public of industries in case of better operational process. There also the UniStream programmable controller which created and offered to the public as the answers of better PLC to operate with high-end machines as well as the automation projects. Here in this article we would dedicated to preserve the user and others with the same interest, for setting up what we wanting for and talking to catch the main ideas of this UNITRONICS® product. What a good point for this device? The main ideas of course to become uniquely modular Programmable controllers where user can adjust the size of HMI Panel, snap on a CPU depends on how powerful they want, than put the ideas of great I/O to power up also create al-in-one but compact controller. UNITRONICS® realize to shown up those ideas there are so many aspect had to involved with. Than that’s why UniStream® Hardware are backed up with several great features so user can joined up they needed depend on the costs and other things in bound. Here are the specification of the Unistream hardware users can tailored up together. CANbus, USB host and device, Audio Out, and Ethernet also RS232/RS485 ports via COM modules, that’s user can tailored as the Communication Ports. Effortless local and I/O remote installation as the space saving and sophisticated I/O user can choose up. Up to 2048 I/Os and over 2MB operand memory which can brings faster scan time, comes from powerful CPU’s. Easy-to-use HMI editor combined with high quality HMI touch panels which bring an elegant screen designs for the users. 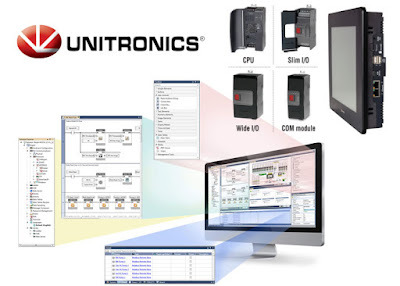 To made it as the real unique and modular programmable controllers, UNITRONICS® are prepared this Unistream programmabale controllers products by separate on the HMI controller size. At least there are three of it which can described as UniStream® 7", UniStream® 10.4", and UniStream® 15.6" HMI monitor size. Each of it are ready to execute the projects on high-end scale right on the budget targeted at the precision time. UniStream programmable controllers are kind of UNITRONICS® programmable controllers types which offered as uniquely modular hardware types, backed up with all in one programming environment which can decrease users development time within 50% off. To realize a visions of better PID Controllers industries, there are need a matters of ideation which belongs by more products and component. Due to that reasons, there are many of ideal product are offered and create by several manufacture. Of course that’s was only to gaining multi ideation which need to reach out by the people which involved with the business. There are also many name of developers and or manufacture also try to reach out those idea. Red Lion’s are one of automation solution companies which try to help industries of solving what the most demanding applications. This article are comes to reach the information about some of PID Controllers, which known as a supporting device to belongs with industries needed. Just check more to found what goes inside and what brings by this product family design. PID (proportional-integrative-derivative) device was needed to solve any demanding applications. 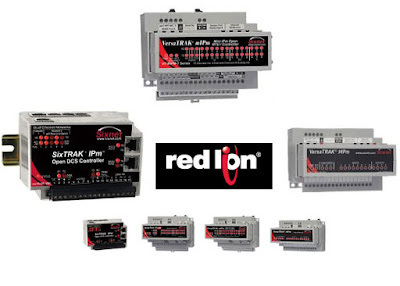 Red Lion’s offered wide of vary of this product family which separate depended on the design such as; DIN Rail Mount Controllers, also Panel Mount Controllers. Each also comes in specific name and features. And here are they. This PID Controllers are panel mount controllers offered by Red Lions manufacture. Each are designed and try to reach controllers which can grant and operate with several universal input such as; thermocouples, RTDs, DC current/voltage, process signals, as well as the resistance. It available with 1/8 DIN size models, which work with field installable, also optional seamlessly card to support easy to changes matters. PID Controllers comes as reliable control over a wide range of processes from a single PID controller, this type are avail in 1/16, 1/8 and 1/4 DIN size models. It was accepted the process thermocouples to presents values on one of the largest industry dual displays RTD signals. This also ready with DC analog control, and RS-485 communication and users inputs. Along with those product types, there also a DIN Rail mount controllers Red Lion’s PID Controller models. Each PID Controllers are separate with some of specific types which called with specific named. And here are they. PID Controllers was designed to allow the users handle seamlessly integrated multi-zone PID control, I/O into PC and data acquitisiton as well as the DCS or PLC control systems. It was stack up with 16 hot swappable modules for an easy space saving solution. Also avail with specific features includes; built in web and FTP servers, and protocol conversion. PID Controllers called with Dual Loop Controllers (DLC), which offered dual independent PID control loops to provide multi-zone process control. Those also accept signals from both of process and temperatures inputs which also support root extraction on square sensor apps, dual analog output, as well as the RS-485 communications. PID Controllers was needed to solve any demanding applications. There are so many of developers as well as the manufacture which offered as the industrial class device. Red Lion’s are one of manufacture which produce and offered it to the industries whit specific features and benefits. 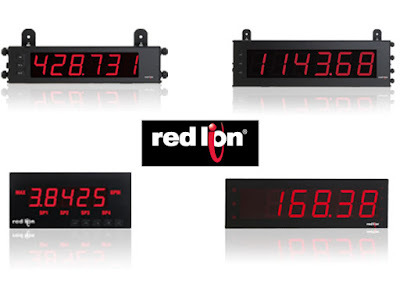 Each of the PID Controllers products of Red Lion’s are ready to serve what users needed and intention. Some of the product also completed with best and suitable ideas depend on what they belong for. Today are the era of automation solution which need to back upped with several products and component where users can reach they idea of productivity and effectivity on what kind of they working process. Than that’s why it was fully reasonable where there are lot of product also need to reach out, and looking by the automation solution users, especially the industries and other field closer with that. On side of developer, there also many of big manufacture or name of company which are offered they newest product and technologies to support what industries want. Than it also happens with Panasonic, as one of former named in electrical component, device and product developers. Panasonic also involved with kind of that industrial term of competition in term of create better working process. There’s lot of product are offered, each are design to pursue the perfection of users needed and intention. On the field of sensing device and component, Panasonic Laser Sensor are become one of product which gain the lasers sensor benefits for many of user intention. This article dedicated to belonging with the informational act and summary of the features so user can now what benefits they can granted of in term of they needed and intention. There are so many product which create which belonging with Panasonic Laser Sensor product types. Each of the product are designed and completely offered under the expert of laser sensor developer. Than that’s why, it also reasonable for users which try to take a look deeper on some kind of the product which can be a great choice depend on what they need to belonging for. Here are some of the products type belong with the features for each of them. This product designing with M6 housing on stainless steel material, which is dedicated to brings thru-beam version. IP67 version standard protection, 23.4 x 12 x 8.2mm a good idea for user which want to used it on small housing. The sensor used class 1 laser standard sensors, which brings very fast processing benefits around 60µs. It was come with class 1 laser types, with 0.5ms or less speed of response time. This are designed to be smallest detectable object device with around 0.3 mm range of detection, also up to 3m (EX-L212x) sensing range. This are a ready to adjust laser class (1 or 2) types, with around 80µs response time, it also ready to belonging with up 1m reflective and 30m retroreflective sensing range. This are kind of adjustable spot diameter device, also can operated with kind of line type for area detection. Those greats laser sensor are prepared with specific function. It because Panasonic are prepared they device under expert of sensing technologies. Choose one or more of the types are good decision for anyone which really want to create or build better of industrial automation solution systems through better and suitable device. 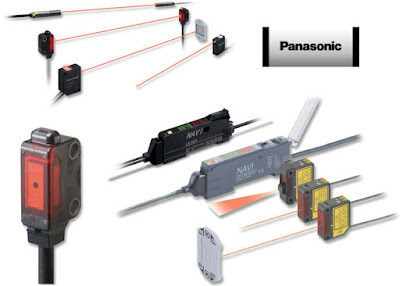 Panasonic Laser Sensor are kind of laser sensing device which prepared to installed with any range of sensing device which can help users to handle their automation solution sensing systems. Each of the product types are designing and prepared to belonging within the ideas of effectives, and precision sensing method. Large LED Displays is part of controlling and monitoring system. This is the important ideas for the industries which need to belonging with their automation plan. It goes with any type of the industries, from manufacturing and or other in commons. That’s why controlling and monitoring device are become important day by the day. To answers this Large LED Displays need and intention, people who work with the industries are try to reach out the handling and controlling device by going on many of condition. Through that Large LED Displays matters, there also many of company, developers, and or supporting manufactures are try to offered suitable component or device which can utilize those industrial needed. And here in this article we would goes further more with one of big named on industrial automation solution manufacture called Red Lion’s. This article was dedicated to explain one of Red Lion’s product called Large LED Displays, in term of types, features also the benefits. As former Large LED Displays industrial automation solution providers, Red Lion try to provide the people of industries with kind of adjustable and suitable product. Each product is ready to belong with any of intention. The Large LED Displays are one of Red Lion product, and we take it as a sampling, how it can be a reliable and great choice for the industries. To realize those ideas, Red Lion separated with they family with two of main functionalities. One of the fully packaged functionalities and other are kind of modular flexibility. Here are the types for each of those main functionalities product. Large LED Displays create and offered for whom which try to reach a NEMA 4X or IP65 standard protection. It was packaged with rugged aluminum housing. LD2 are ready to provides around 57mm ( 2.25 inch) viewing form. It give an easy view standard for the operator to view from distances up to 130 feet. Along with the other sisters Large LED Displays product, LD4 are designed to bring an easy view and read features. Users can easily see the data from around up to 180 feet distances. This condition can be happen thanks to 4 inch (101 mm) high LED display. This kind of LED Display are ready to provides users when they want to work with various input. This also comes with plug-and-play output cards where add an additional functionalities such as set point and retransmitted analog and communication options. This type provide 38 mm/1.5 inch high LED Display. To users which need an easy viewing from around 180 feet distances, this LED displays are provide it with around 101mm/4 inch high LED display. This also can come with such of set points; communication and also retransmitted options. Each of the Red Lion’s Large LED Display product family is ready to provide and bring suitable ideas on installation and other following form. Of course, the only things they wanting for are the suitable matters of flexibility and benefits. Red Lion’s Large LED Display, are kind of controlling and monitoring device product which try to give users benefits on installing and using act. Each product are gain also completed with great features, and easy to view display, to make sure that users can see what they need to see. As the impact of the Wireless Sensor Networks industrialism, there are many of industries which upgrading their supporting access also systemic ideas which prepared and belonging with the ideas of better working process. Than that’s why it was full reasonable ideas where many of the product are offered to support what industries needed. BANNER Engineering Corp. as one of Wireless Sensor Networks manufacture which also made and offered specific product to belongs with those ideas are try to granted more with offered the wireless sensors networks family product. This Wireless Sensor Networks product are ready to answers what users want to solve the condition where wired solution are ineffective, cost-prohibited also impractical. Through this article we would to introduce and bring some of the products overview among the BANNER products family. There are many of Wireless Sensor Networks BANNER products are designed to provides right solution for the users depend on what users need. Each are separated on specific functional, which derived again to the specific product named that face out kind of right function. Here are the overview of this product family. This are the product family which try to react the identification of wireless device with no software needed. It comes as; Ethernet signal wires, analog, serial, and easily replace discrete device. There are specific product are comes, such as wire replacement-PM Series, Sure Cross® Multihop Serial Data Radios, and Ethernet data radios. This BANNER product comes as specific type called DXM Series. It was integrates controller serial with radio cellular and Ethernet connectivity. It also provide a platform for the Industrial Internet of Things (IIoT) which provides through I/O locally. This product family are provides to allow users to remotely diagnose and monitor they running systems quickly. It was prepared to eliminate expensive cable runs, increasing easy to setup and install, also can run machines integrated which not had network capabilities before. There are specific named such for kind of this product types such as Sure Cross® Q45, as first self contained standard photoelectric wireless. QM42 vibration and temperature series, the temperature and humidity sensors, K50U ultrasonic wireless sensor, FlexPower Node wireless ultrasonic sensor node, M-GAGE Node wireless, Q120 6-Button Pendant wireless, GPS receiver, TL70 modular tower light, also other such as TL70 tower light segments, and K70 70 mm domed wireless indicators. Those Wireless Sensor Networks separation of functionalities are used to made users easy to gain a better ideas of wireless operational process. 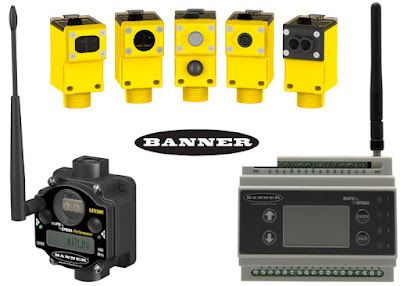 Some of the Wireless Sensor Networks products made by BANNER are totally offered to gain the productivity also other aspect during the operational process. There are many of Wireless Sensor Networks made by BANNER are offered to the users. Each of the Wireless Sensor Networks kind of designed with specific features. But those specifically are provided a single idea of better and easy operational act when those industries operate those products also downgrade the costs of operational. By the time during this era, the networking technologies are going on several of human life. From the small parts which need only a few of the technologies, to the wide and vary of scalable ideas on the industries. All of them are need to be back upped with the networking technologies. Also the automation solution where so many fields are developed since the time it was offered to the public. And now are the important era of the automation solution technologies, where people especially the industrial people are looking for best ideas of how to build their manufacturing plants with better networking automation solution in case of networking and device communication matters. Than that’s why, the Industrial RTU or Remote Terminal Unit are become important device and or component in whole of those process. Due to the fact, there are so many manufacture are create and offered best and suitable design of the product to belong with what industries wanting for. And here in this article we would go further more with several of the Red Lion’s one of former named on Industrial Automation solution providers. 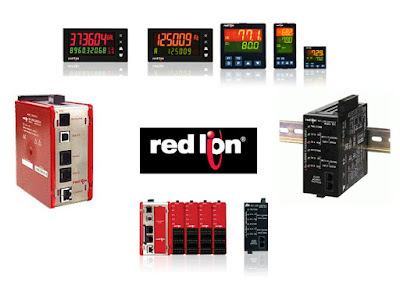 Just check more through this article on what Red Lion’s brought with they Industrial controllers and RTU’s products. Knowing about kind of great product is good manner. It can be solve any of problems that need to goes up. Especially for the industrial people where so many products are need to be better and common process and activities. Red Lion’s are come up to provide the industries itself by offered several product around the Sixnet® product family. This product are made up with vary of line of the product such as; IPm2m®, mIPm, IPm® also uIPm as the series of the industrial RTU. It was also come by rich of functionalities combination, which can be used for such of this automation applications including custom programming, communications gateway also the datalogging. On the fields, this device is commonly combined with non proprietary standards industrial with the Linux open source Operating Systems. Those combinations build as single visions of scalable RTU which can also take the place of many pieces disparate of hardware. On the aspect of scalability this device family is prepared and design to goes up with around up to 16,000 Sixnet address nodes or around 247 Modbus/Controller. It also ready with vary of communication ports includes RS-232, RS-485, Ethernet and Modbus Supporting, TCP Modbus, SNMP, IEC60870-5, SIxnet UDR protocols also DNP3. It was prepared with the best and suitable and flexible ideas of any connectivity users want to operate with. Those great scalability and connectivity ideas are designed to gain the environmental aspect of operating process. And Red Lion’s industrials RTU are ready to operate in the most demanding environments. It just prepared to supporting the temperatures of operational on around -40° to 70° C. It also had outgoing with several safety standard such as; Division 2 listing, UL Class I, CE and ABS Marine rates, also CSA. The Red Lions Industrial RTU product also can be mounted close to the equipment controller without any issue. Red Lion’s Industrial RTU is the best ideas for the industries which try to gain a best networking on the outgoing of automation solution aspect. It can handle many of abilities which had to be a requiring solution device for the industries around the automation solution networking plant. Labels: Leading industrial automation companies in India providing PLC SCADA DCS training in Chennai. Best PLC training center in Chennai. Automation in India"
There are more tasks which need to solve by the industries to reach and realize they belonging ideas. Some of the tasks are including controlling and monitoring which is recognized as an essential following processes. Than that’s why, due to the fact, there are more products and or supported device which need to handle more controlling and monitoring for help and solve the industries intention and ideas. Those condition also create kind of challenging matters for the industries and or manufactures that comes as a provider for help the industries intention. One of big name are Panasonic. Which known already involved to help industries reach out they process in controlling and monitoring by offered several types of Panasonic Programmable Controllers. It was totally designed to be such as analog control, network communication, also the positioning control, which offer an outstanding price-performance ratio. This article dedicated as reviews on several aspects that comes out with the Panasonic Programmable Controllers product. Just take a look deeper through next parts to see each products features and known what benefits can users get by using this products family. A better technologies need to supported industries for increasing they standard of productivity. Through this Panasonic Programmable Controllers, users are can gain more benefits for debugging and time of programming aspect, thanks to the “know-how” programs which comes as a single bundled in with this PLC. There are vary of types which comes within this product families, and here are they. Called as suitable PLC for panel mounting supported, this comes with several great features such as; 2700 steps program memory, 1660 words data memory, 3-colour display with 5 character and 2 line, also 2 x RS232C or 1x RS232 + 1x RS485 interfaces, and 6 inputs/ 6 outputs + 2 thermocouple or analog inputs or 8 inputs/6 outputs. This are multi-functional, compact and entry level PLC, which designed and offered for the users which need to gain kind of that user requirement. Comes with several features: Max. 216 I/O’s, clock or calendar function with 2 analog inputs, 1 x RS232C, 1 x RS485 max. 2 serial ports, from 2500…8000 steps program capacity, 2550…8192 words data register, also control the motion functionalities. For users which want to equipped with transistor or relay outputs (NPN) this PLC are the fit and suitable choice. Along with new standards for compact PLC’s this product suitable for many of user intention. There are so many features aspect which come together with those belonging ideas such as : 12315…32765 words data memory, 16000…32000 steps program memory, comes with USB 2.0 port and 2 x RS232C interfaces. It was ready to operating with 64/64 inputs or outputs transistor and 54 outputs relays max, which can also handle 24 analog inputs and 12 analog inputs maximum. 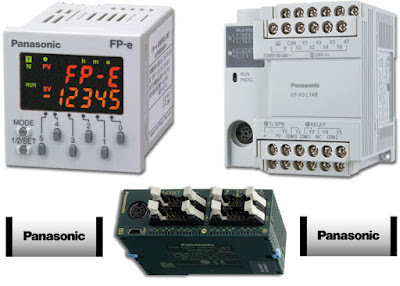 Besides those products types, there are also other product which come together as Panasonic programmable controllers family, it can classified with such of this product code: FP-Sigma powerful compact PLC, FP-X PLC also FP2SH high-speed modular PLC. Panasonic Programmable Controller are PLC which producing, designed and developed by Panasonic as former name in any electrical solution company. There are wide vary of PLC which offered to the public of industries or other users in term of giving a better choice to help users gain they needed and intention to increase working productivity.